Human beings are always doing incredible, ground-breaking things. In our constantly evolving clamor of historic firsts, it’s all too easy to lose track of our achievements. While most of us know the really big stuff, like the first man on the Moon or the first person to reach the South Pole, plenty of our smaller—but no less incredible—firsts are swept under the rug. Here are 10 firsts that changed the world and that most of us have never heard of. Hands up—who uses Facebook, Instagram, Pinterest, or any of the other zillion and one ways to post pictures on the Internet? Literally every single person reading this probably just raised their hand. In that case, you’ll know how important image sharing has become to culture in the Internet age. But where did the first photo to kick-start this trend come from, and who did it show? The answers are (predictably) the Swiss laboratory Cern and (less predictably) a vintage girl band who sang about physics. In 1989, Cern computer scientist Silvano de Gennaro started a music festival. Known as the Cern Hadronic Festival, it was basically a way for the staff to unwind and spend some quality time together. Given that this was Cern, the acts liked to advertise themselves in high-tech ways. In an age where Photoshop was an impossible dream, the physics-based girl band Les Horribles Cernettes had Silvano take a picture of them and edit it on his computer to make an album cover. As Silvano was working, Tim Berners-Lee just happened to walk in. He suggested that Silvano create a website and stick the photo of the Cernettes on it. The result was the first personal photo uploaded to the Internet in history. Although scientists had uploaded scientific images prior to this, no one had ever before thought to stick a personal photo up. It paved the way for Facebook and everything else that came after. If you were to listen to “Sumer Is Icumen In,” your first thought might be something along the lines of, “What the hell is that?” It’s a 13th-century song composed in Middle English, and it sounds so utterly alien to what we consider “good” music that it’s more likely to produce hysterics than awe. Nevertheless, “Sumer Is Icumen In” has a claim to fame that elevates it far above anything you might listen to on Spotify today. According to the British Library, it’s the oldest known song written in the English language. Dating to around 1260, the manuscript contains both Latin and English text, so vocalists can choose which version to sing. Interestingly, their contents are completely different. While the English version celebrates the arrival of spring (Middle English didn’t differentiate between spring and summer), the Latin one is all about religion. Hilariously, “Sumer Is Icumen In” is an important historical first for another reason, too. Its third verse contains the first recorded use of the verb “to fart” in history. Apparently, a widely accepted sign of spring in 13th-century England was when the bucks started farting. Say the words “America” and “casino” in a single sentence, and most people will picture only one place. Glittering Las Vegas basically is American gambling, and it’s tempting to assume that the first casinos on the continent appeared here. In reality, you’d have to go further back than the founding of Sin City to find the first American casino. In 2015, archaeologists uncovered a treasure trove of gambling material in a cave in Utah. Used long ago by an obscure Native American tribe known as the Promontory people, it appeared to be a place where elites of the time gathered to bet on dice games in multiple caves. This casino existed sometime in the 13th century. At the time, the area was going through an epoch-shaking upheaval. Nearby tribes were in disarray or dying out. It’s thought that the casino might have been a way for the Promontory to build social bonds with their neighbors and thus avoid being annihilated in a war for resources. If that was the plan, it certainly worked. Even as other Utah tribes were in decline, the Promontory were going from strength to strength, proof, perhaps, that there is a positive side to gambling. Many of us could probably name a number of English-language female authors off the top of our heads. Aside from classic writers like Jane Austen and Emily Bronte, there are people like J.K. Rowling and Suzanne Collins. It wasn’t so long ago, however, that writing (like most things) was considered a man’s game. 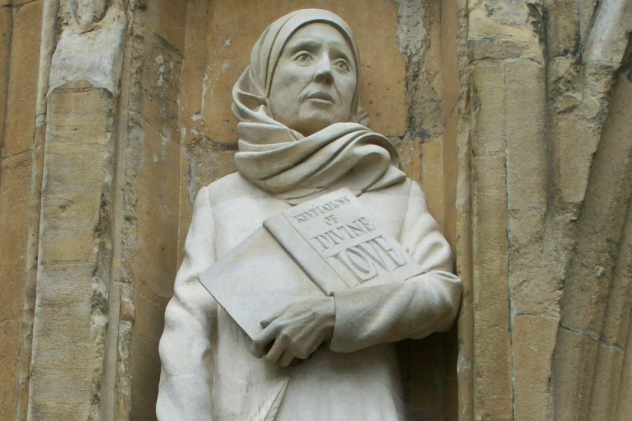 When Julian of Norwich picked up her pen to write Revelations of Divine Love (1395 AD), she was doing something that no other English-speaking woman had ever thought to do before. At the time, women simply did not write. The few around the world who had certainly didn’t do so in English. But Julian believed that she had God on her side. The devout Christian famously heard voices which she attributed to the Creator, and these voices told her to write about her divine experiences. The result was a book that opened up opportunities for women across the English-speaking world. Interestingly, Julian wasn’t the only English woman of the period to try her hand at this writing lark. Margery Kempe published an equally groundbreaking book only a few years after the older woman. Known as The Book of Margery Kempe, it’s thought to be the first autobiography written in English by either gender. When Christian Ross of Philadelphia opened a letter on July 4, 1874, he had no idea that he was holding a slice of US history in his hands. If he had known, it’s unlikely he would have cared. The dry goods merchant was worried sick. His four-year-old son Charles had vanished three days earlier, and the city’s fledgling police department had been no help at all. The official line was that Charles had been taken by drunks who would return him “once they had sobered up.” The letter suggested otherwise. Inside was a demand for $20,000 to get Charles back. 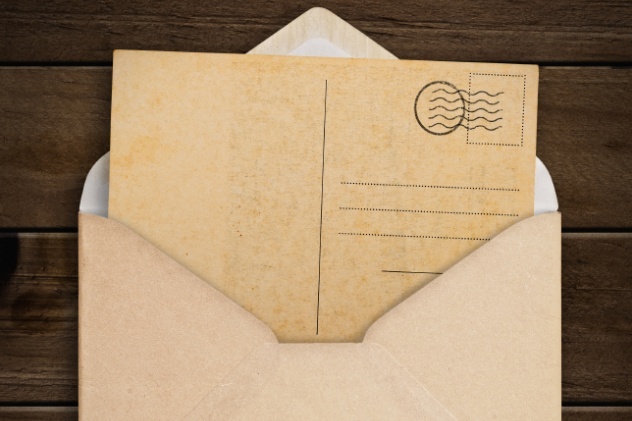 It was the first ransom letter sent in US history. Even in today’s age of international manhunts and mass media, the reaction to the letter seems remarkable. Terrified of looking incompetent, the Philadelphia police searched literally every single building in the city. They also posted a $20,000 reward, which probably did more harm than good. The parents of over 600 children tried dressing their sons up and passing them off as Charles in order to claim the reward money. Across the country, roughly half a million ordinary Americans helped search for the missing boy, to no avail. Although his kidnappers were either killed or captured, Charles Ross was never seen again. Meanwhile, the ransom note itself (and 23 further ones that followed it) vanished forever, or so it seemed. In 2013, they turned up in a school librarian’s house. How they got there is a mystery. A staple of Turkish culinary life for centuries, the humble kebab is today a multibillion dollar food industry. With such modern and historic importance, it should come as no surprise that images of kebabs have been around since medieval times. What should surprise is where the first image can be found. There’s a good chance that history’s first recorded kebab can be found in the Bayeux Tapestry (1070s AD). A vast piece of embroidery celebrating the Norman conquest of Britain, the Bayeux Tapestry is pretty much the last place you’d expect to find Turkish fast food. But in 1990, at the Oxford Symposium on Food and Cookery, textile specialist Robert Chenciner highlighted a panel where the victorious Normans can clearly be seen chowing down on a shish kebab. Since there were no kebab shops in Hastings in 1066, the discovery threw up some puzzling questions. Although Chenciner theorized that the tapestry had to be a fraud, The Economist offered a different suggestion: The respected magazine claimed that kebabs had likely originated in western Europe and gone to Turkey, where they became more popular than they ever were at home, before being brought back over again in an act of “cultural reflux.” A lot of people disagree, but it’s an intriguing theory. When the Americas were finally settled, the vast majority doing the settling were Christian. There were Puritans in the north, Spanish Catholics in the south, and French Catholics wherever they could get a foothold. As a result, it’s tempting to think that other religions arrived in the New World much later, perhaps on a wave of immigration. However, this isn’t the case. In the early 21st century, the first synagogue built in the Americas was rediscovered in Recife, Brazil. It was founded in 1630. Known as Kahal Zur Israel (“Rock of Israel”), the synagogue marked the official arrival of Judaism in the Americas. It was used by approximately 1,400 Dutch Jewish settlers and flourished until 1654, when the Portuguese arrived and expelled the Jews. Most went and resettled in New Amsterdam (now New York City), meaning that this one synagogue was responsible for bringing Judaism to North America, too. Until recently, the mainstream view of human history went something like this: First, we were hunter-gatherers. Then, at some point, we decided to get into agriculture in a big way. This allowed us to build up surpluses, leading to the creation of complex societies and stuff like organized religion. Simple, right? Maybe not. In 1995, archaeologists uncovered the first known temple in history in Turkey, near the Syrian border. Constructed over 12,000 years ago, Gobekli Tepe predates the invention of everything from agriculture to pottery. To put that in perspective, Gobekli Tepe is more than twice as old as Stonehenge and predates Solomon’s First Temple by almost 9,000 years. It’s the very first evidence we have of religion organized on a grand enough scale to construct great monuments. It was also extremely influential. Smaller, identical temples have been found up to 200 kilometers (125 mi) away, suggesting that Gobekli Tepe was the center of power in a massive, complex society focused around a common religion. 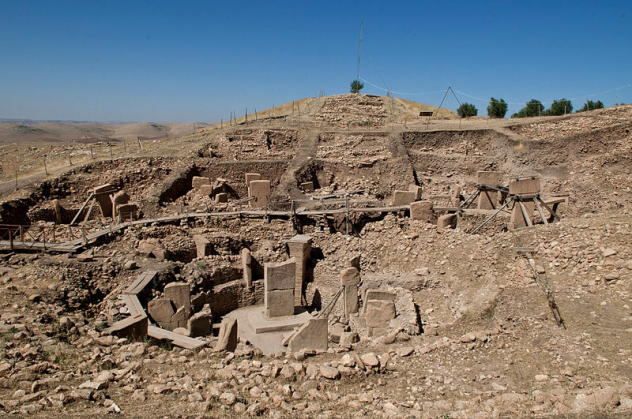 Most impressively of all, some experts are starting to think that Gobekli Tepe was less a result of the shift to agriculture and more the cause of it. German archaeologist Klaus Schmidt argued that agriculture arose because rulers needed a way to feed their workforce as they constructed such huge religious monuments. In 1969, Neil Armstrong did something that no other human being in history had ever done before and only 11 others have done since. He set foot on a celestial body that wasn’t Earth, an achievement so mind-blowing that they’ll still remember his name 1,000 years from now. 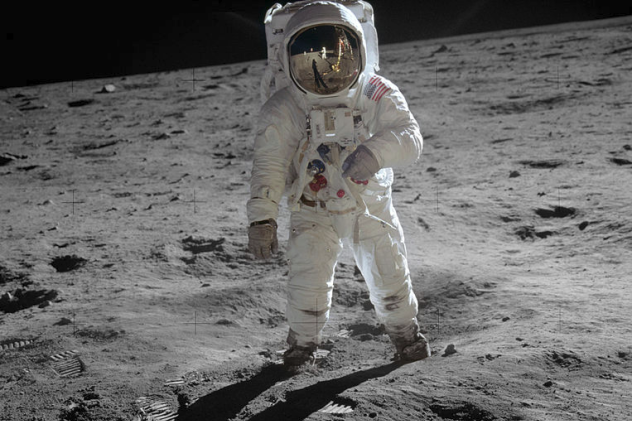 Less well-known is that Buzz Aldrin also recorded an impressive first that day. The Presbyterian Church elder became the first person in history to take communion away from the Earth in a little ceremony with Armstrong that NASA later hushed up. But there was yet another, extremely Internet-friendly first that also happened during their trip. Before stepping out onto the Sea of Tranquility, the two astronauts shared a meal. The snack they chose to be humanity’s first dish on the Moon? Bacon. It’s unknown today if the choice of modern man’s favorite foodstuff was deliberate or accidental. Prior to 2002, NASA routinely equipped its explorers with bacon, so its presence in the Lunar Module may have just been a happy accident. Whatever the truth, there’s no denying that “so awesome it’s eaten on the Moon” makes for a great pro-bacon tagline. Unless you’re reading this years after it goes live, you’re probably aware that there’s a buzz surrounding a former first lady becoming the first female president of the US. Whether or not Hillary Clinton takes the crown in November is something we’ll have to wait to find out. But even if she carries the election, Hillary might do well to remember that she’s not the first woman to take control of the White House. In 1919, another first lady beat her to it. In October that year, Woodrow Wilson suffered a titanic stroke that left him bedridden, incoherent, and in need of constant monitoring. Vice President Thomas Marshall moved to have Congress declare Wilson incapacitated, making him de facto president. Unfortunately for Marshall, Wilson had other ideas. In this instance, we don’t mean Woodrow. 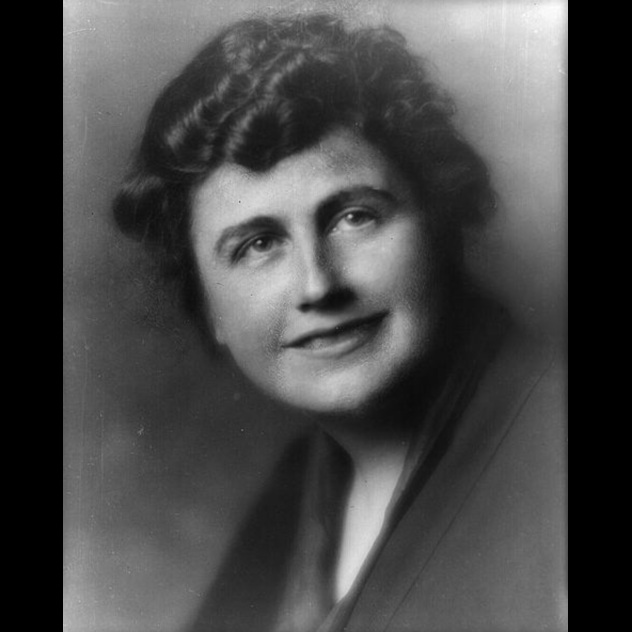 Edith Wilson shut her husband up in a bedroom to recover and proceeded to take over as acting president. For the next four months, Edith oversaw meetings, saw governors, senators, congressmen, and the press and conducted the White House’s internal affairs. While never sworn in, she did everything a president has to do, including making life-or-death decisions that affected millions worldwide. It has even been suggested that she didn’t consult her husband on many of these decisions, meaning that Edith was for all intents and purposes running the country. Of course, calling Edith the “first” female president depends on how you define “president.” Edith never took an oath of office, potentially disqualifying her. (She wasn’t elected, either, but neither were guys like Gerald Ford or Andrew Johnson.) On the other hand, she did everything we expect a president to do, all while helping her husband get back to good health. It’s a remarkable story and one that deserves to be more widely known.